SAN FRANCISCO, March 11 (Xinhua) -- U.S. top aircraft manufacturer Boeing has postponed the debut of 777X airplane previously planned for this week, local media reported on Sunday night. The company has decided to delay the unveiling ceremony of the 777X originally slated for Wednesday and will look for another opportunity for its debut, a Boeing employee responsible for media affairs, who preferred to remain anonymous, confirmed to Xinhua on Monday. Boeing tweeted on March 4 that "our very first #777X flight test airplane will officially debut to the world on March 13th! " The Boeing's rescheduling of the 777X rollout came after a deadly air crash of Ethiopian Airlines Sunday, killing all 157 passengers and crew members aboard a Boeing 737 MAX 8. It was the second crash of the same type of aircraft after one operated by Indonesia's Lion Air crashed in October last year. Boeing said in a short statement the same day that it was deeply saddened to learn of the death of the passengers and crew on Ethiopian Airlines Flight 302 (ET 302). "We extend our heartfelt sympathies to the families and loved ones of the passengers and crew on board and stand ready to support the Ethiopian Airlines team," it said. 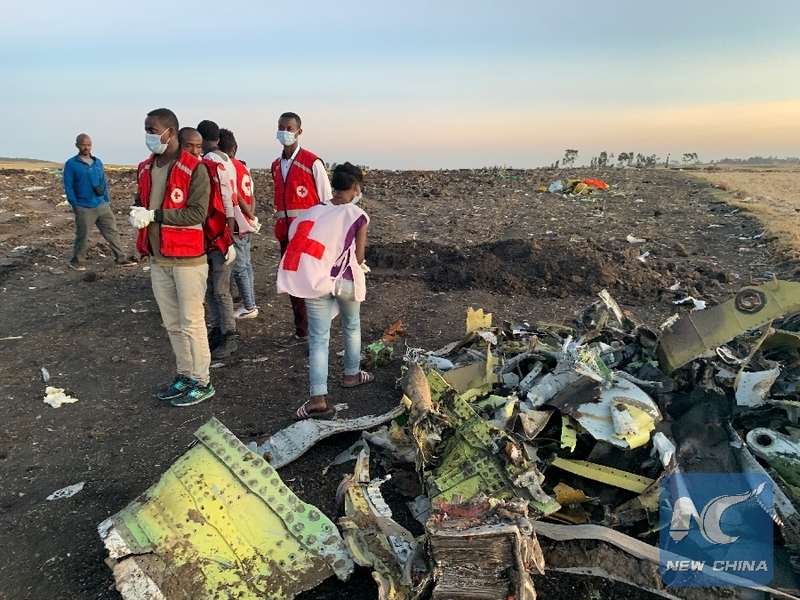 Boeing added that a technical team would travel to the crash site to provide technical assistance to the Ethiopian authorities. Since the deadly Sunday air crash, several countries have grounded Boeing 737 MAX 8 aircraft over safety concerns. The Boeing 777X aircraft is installed with the largest jet engines ever made by the aerospace industry, with a length of 77 meters from nose to tail, the longest passenger jet that Boeing has manufactured in its 102-year history.